We started out at 7:30am with a long bike ride to the east end of Utila town. Then we turned north to head around the point of the island. Here we met Nadia and Shane who would be showing us the way . . . and Terry! How he found us we don’t know, but he decided he was coming! 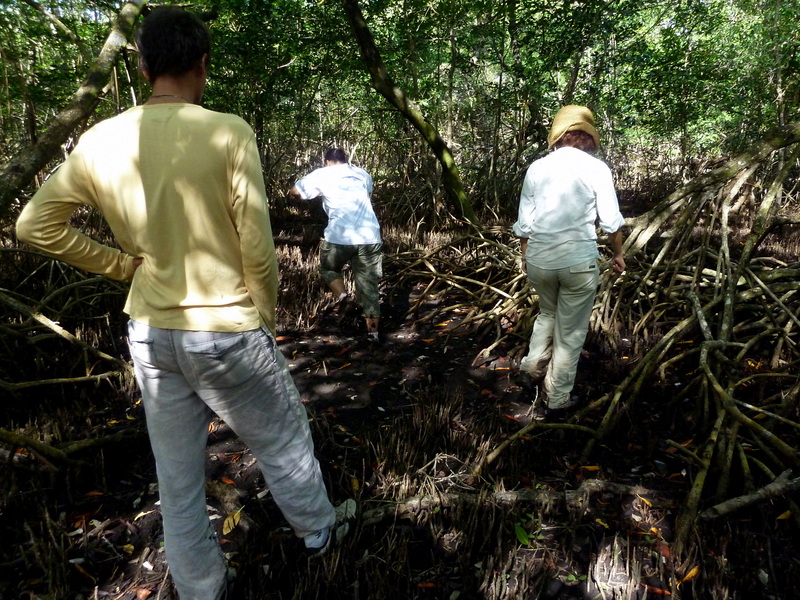 Next was a long walk along the shore then into the forest where we met the fringe of Mangroves. Mostly Red Mangroves in this area, but all seemed quite healthy; there was lots of mobile iguana food (fiddler crabs), which is a good sign. We headed through a field where the local farmer keeps cows and saw our first highlander iguana, chilling on the mangrove fringe. Once we got into the mangroves we followed old markers which divided the groves into transects, assessing the area for contamination from the town dump nearby, and also signs of people activity. Lots of the old markers were missing so Andrea left new markers as we went. Throughout this area is a mixture of Red, Black and White Mangroves – still a lot of fiddler crabs and some ponds. All the key features of a happy Iguana home! This was illustrated by our one and only Swamper sighting, high up in the branches of a mangrove tree. A lucky sighting as the Swampers are hard to spot in such a high canopy. They light to stay up high and absorb the best of the sun’s warmth. 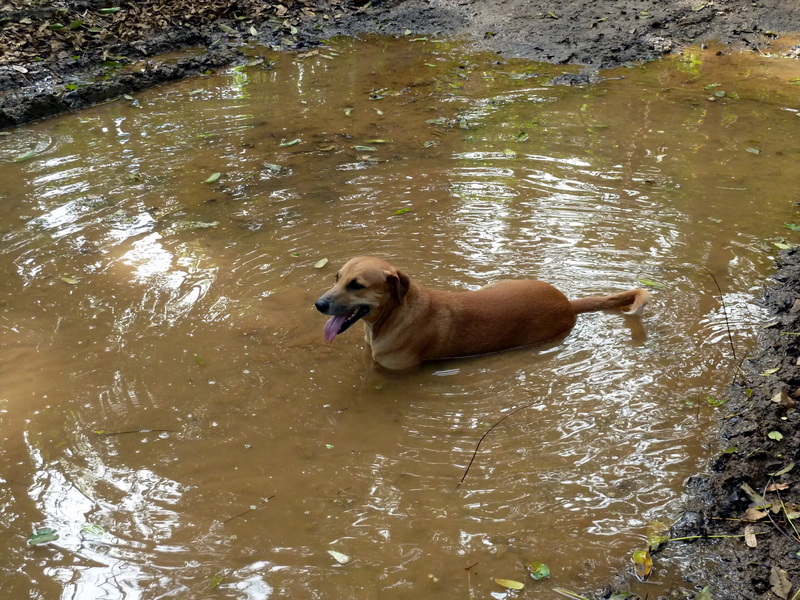 Concerns about the proximity of the dump, with possible ground water contamination from the runoff, puts doubts in the minds of Steve and Andrea about the suitability of the area. Another issue is the large distance to the beach; this would pose a risk for the Swampers once they make their annual journey for nesting and egg-laying. The lack of iguanas also hints that hunting is likely to be occurring in the area, which is not a surprise due to the high human traffic in the dump and farming fields. As we headed out, we caught caterpillars, dragonflies and moths to add to Andrea’s insect collection. Then a bark from Terry signaled us to his find – another Highlander iguana in a small tree. 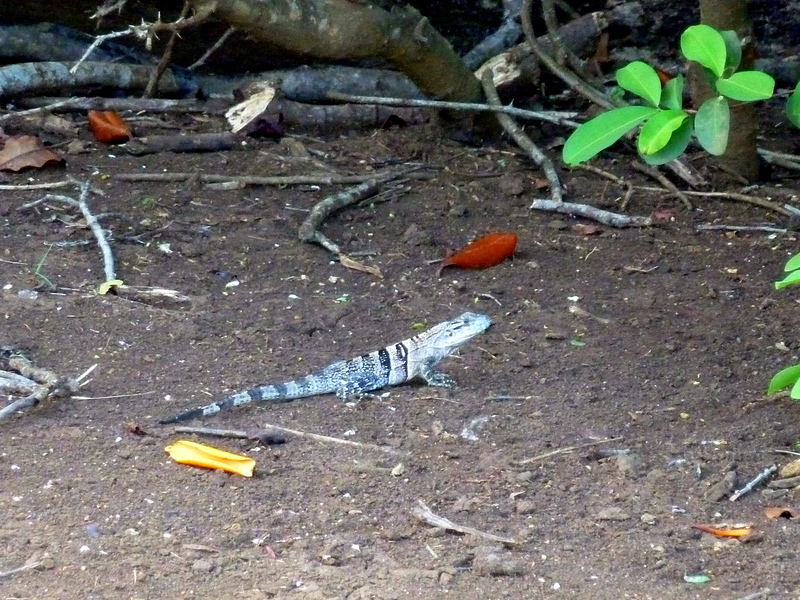 Unfortunately we scared it and it made a leap to the ground and took off, closely followed by iguana hunter Terry! Luckily it made a quick escape, and Terry finally gave up and headed back out with us. ~ by iguana123 on March 17, 2011.